These reliable gas shocks incorporate a strong annealed steel rod with a special coating for added corrosion resistance. 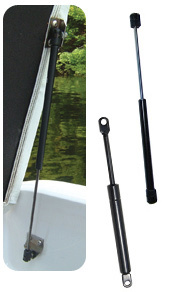 These shocks are an ideal choice when used near or around high salt water areas where corrosion is a large factor. All shocks fit 10mm ball ends unless noted.